Governor Udom Emmanuel of Akwa Ibom State has promised Super Eagles players $10,000 for every unreplied goal they score against Algeria, in today’s 2018 World Cup qualifier. He made this promise, when he visited the team at their Le Meridien Hotel camp Friday night, accompanied by his predecessor, Godswill Akpabio. “The Governor has made us a promise of $10,000 for every unreplied goal against Algeria,” a top official disclosed to AfricanFootball. Governor Emmanuel had donated N10million to the Eagles, after they defeated Tanzania 1-0 in September. 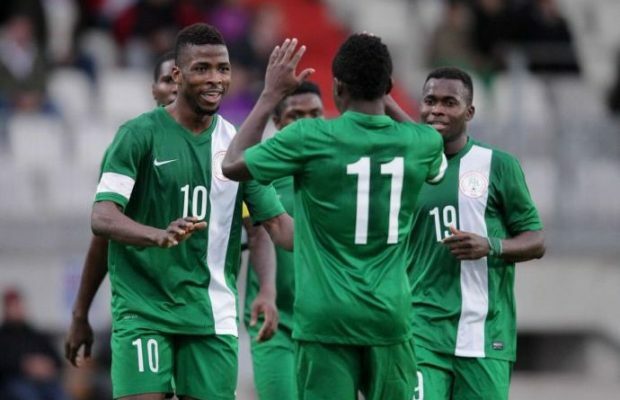 The cash reward was later converted to camp allowances by the Nigeria Football Federation (NFF) . Nigeria will be seeking to extend their lead at the top of the African qualifying Group B, when they host Algeria on Saturday.